Raise your hand if you are a dog lover! 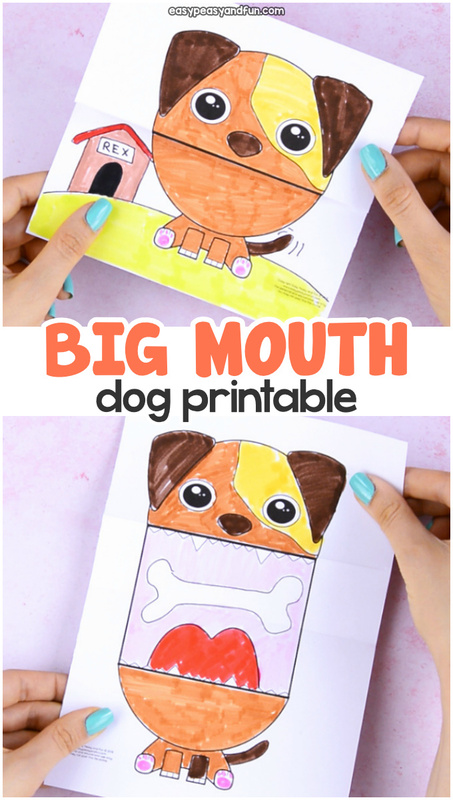 This time around we are sharing a fun Surprise Big Mouth Dog Printable with you all, that most will most certainly entertain dog lovers and others alike. Such a fun activity to make with your kids. Have a kid who is a real dog lover? 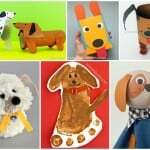 Check out these cool dog crafts for kids. 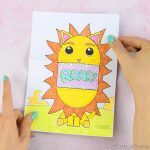 If you are feeling like making a fun dog craft with your kids, this surprise big mouth dog printable is certainly a project to add on your to do list. 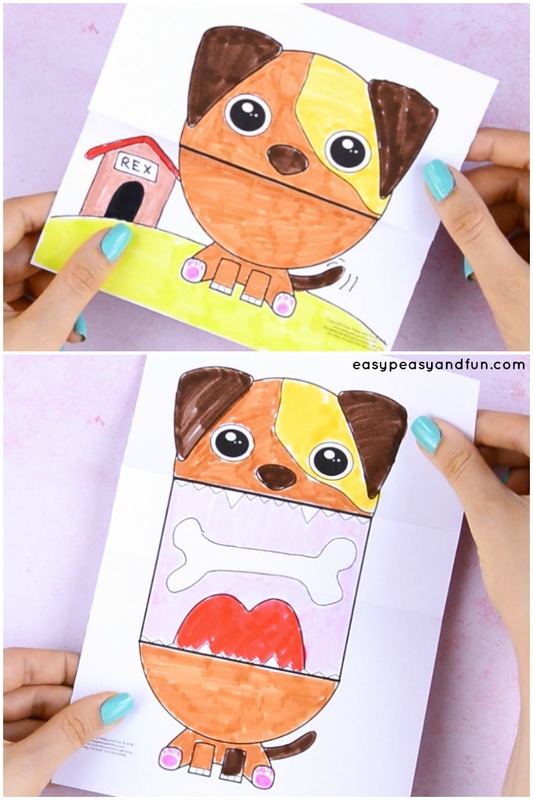 You can either use our template, or have a more arty approach and have the kids draw their own dog (we do have a how to draw a dog tutorial that might be of help). 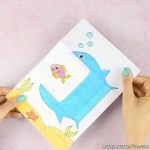 Once you understand the principle behind this paper craft, you will be designing your own in no time. 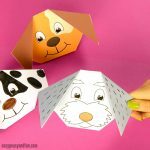 This project is perfect paper craft to get the kids grasp the basics of folding – if you want to take it even further you can have the kids make a dog face origami too (it’s a perfect project for preschool kids and kids in kindergarten). Print out our template – chose either of the version – the small or the big one (small one is perfect for classroom use). 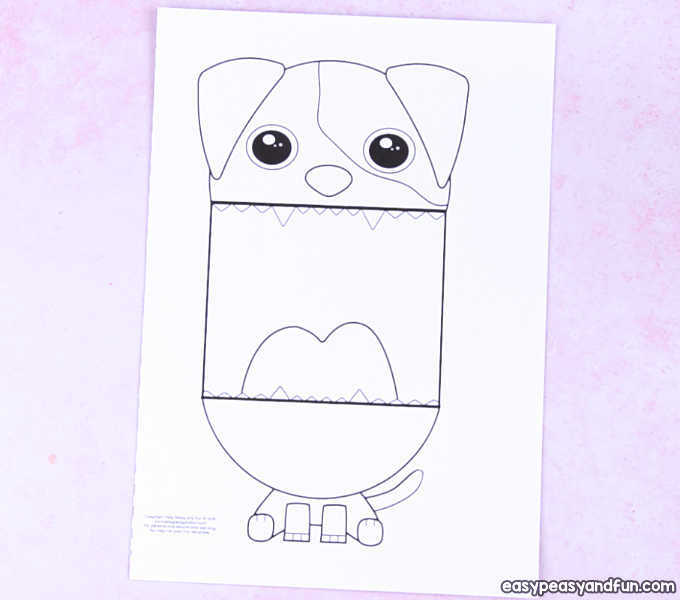 We do recommend heavier print paper (cards stock) to print this big mouth dog printable as this will make this craft project more durable so kids will be able to play with it longer. Once the template is printed, have the kids color their dogs. A variety of mediums can be used. 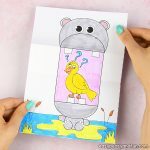 If you used regular print paper we do recommend using crayons (which you can offer to kids in this cool looking DIY paper tube dog pencil holder). 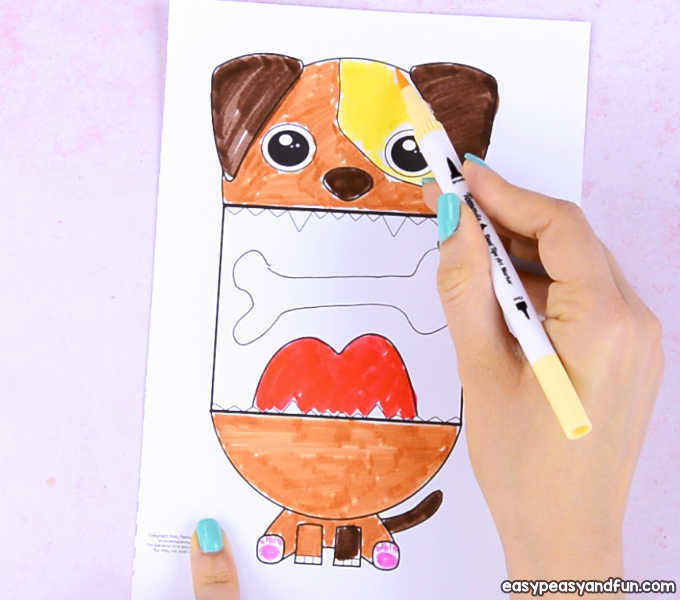 Color the dog design, and draw the background if you want. You can draw a dog house, grass or any other setting. 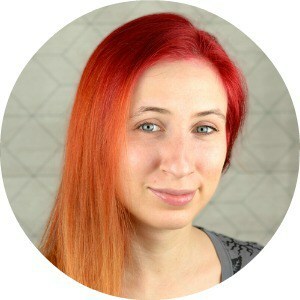 Happy with how your picture looks? It’s time to fold it, it’s easy peasy. 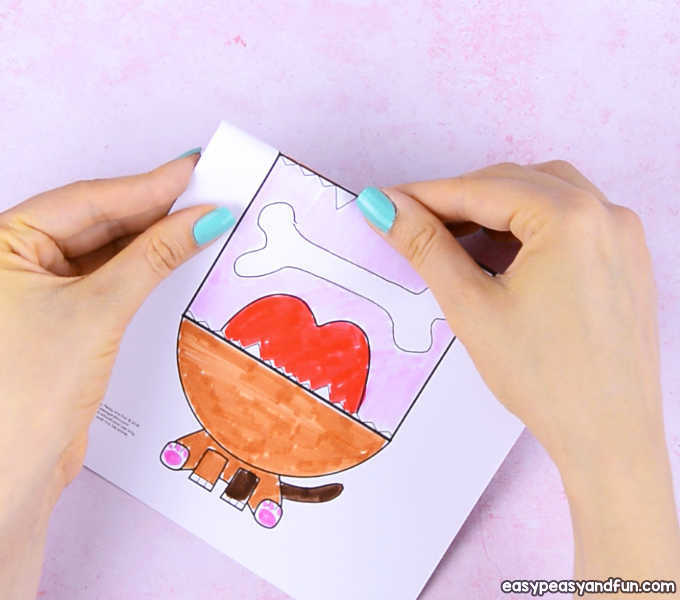 Start by folding the paper along the upper lip line on the design – fold across the paper width. Make sure the fold is crisp. 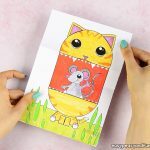 Just one more fold is needed and you will complete your project – bring the top fold you just made to meet the bottom lip line and press the paper down. This will form another fold inside the dog’s mouth. And you are done! 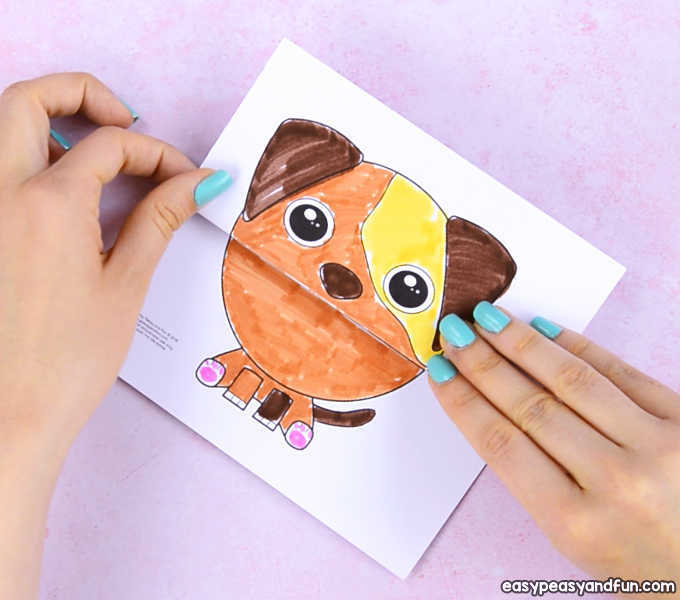 Your dog paper toy is ready to be played with. You can make it open and close it’s mouth as many times as you want. 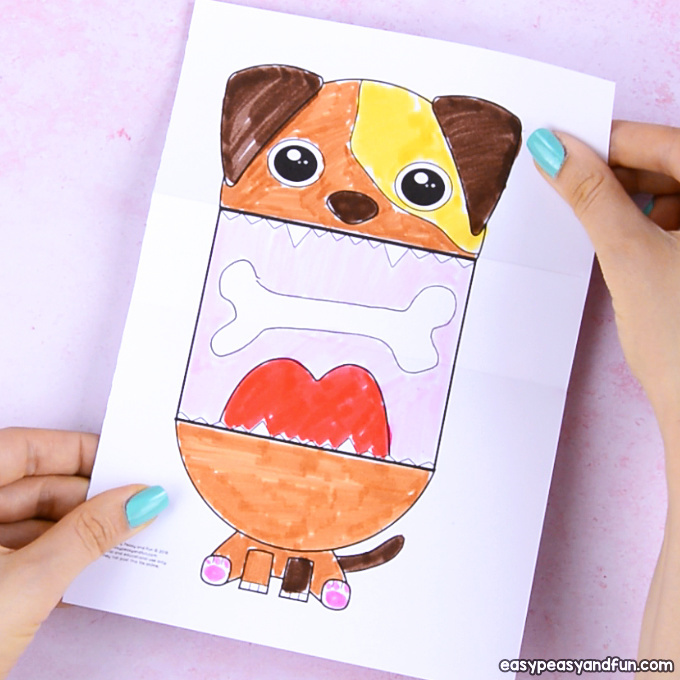 And you can even write a secret message inside the dog’s mouth).